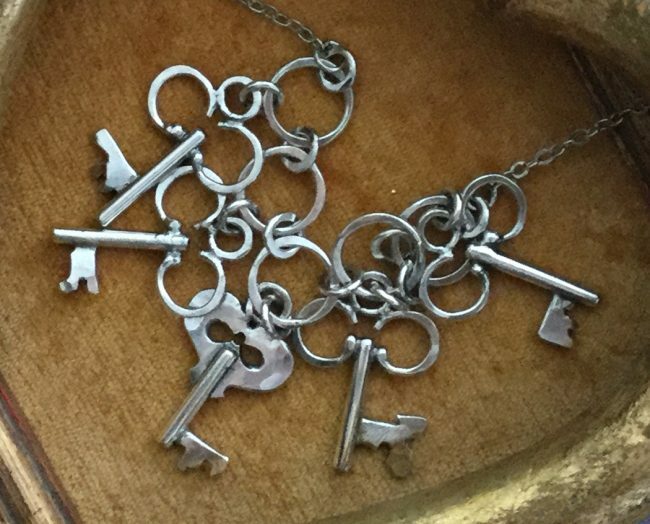 What mysteries do these keys hold? one for everything, for nothing… for your heart, your future, a dream perhaps? One for each of five mysteries is represented here. 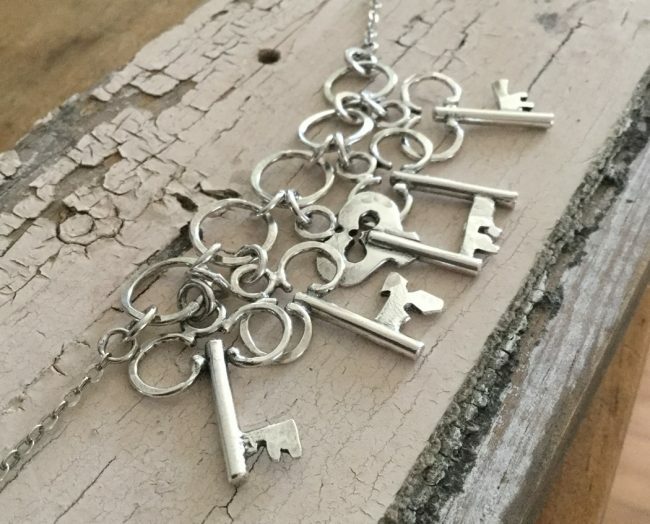 I’m working on some keys, and although a series, each key is completely hand fabricated and will be slightly different from any of it’s companions… each as unique as the secret you trust it with. These sterling silver keys have rounded tops with a clover-like design on the four outer keys, with a heart shaped sheet-cut top on the key in the middle position. 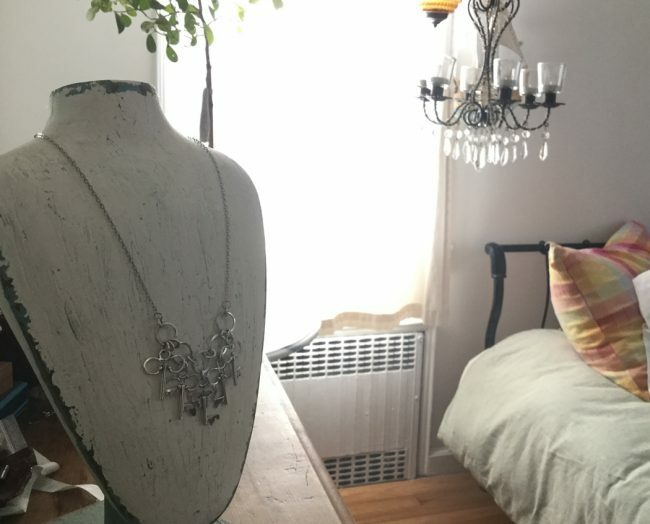 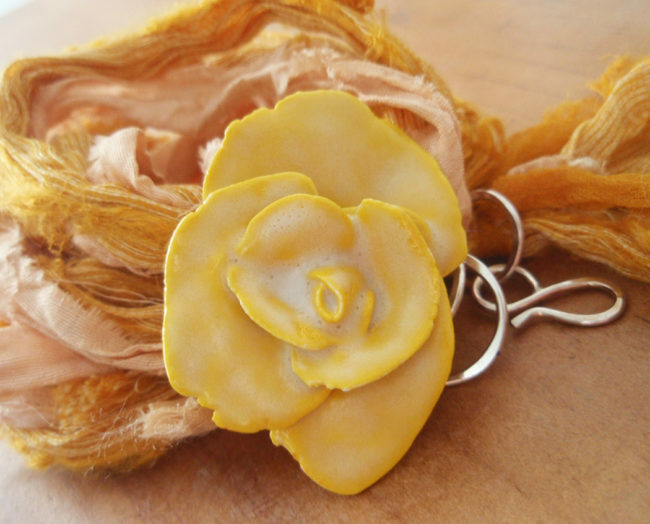 This necklace is about 18.5″ with a 3″ extender. 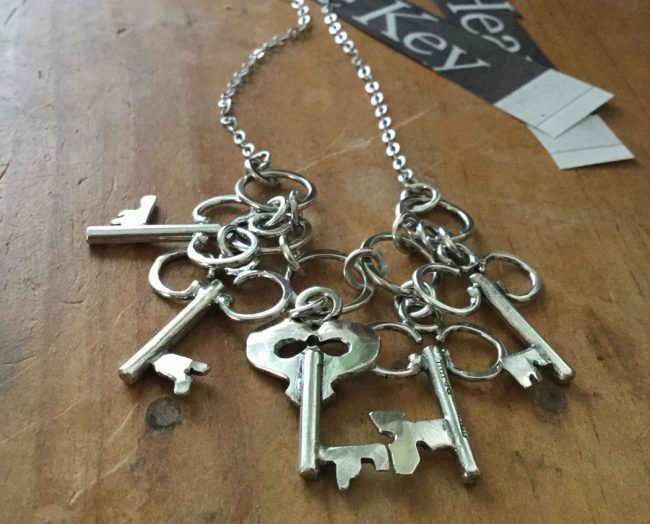 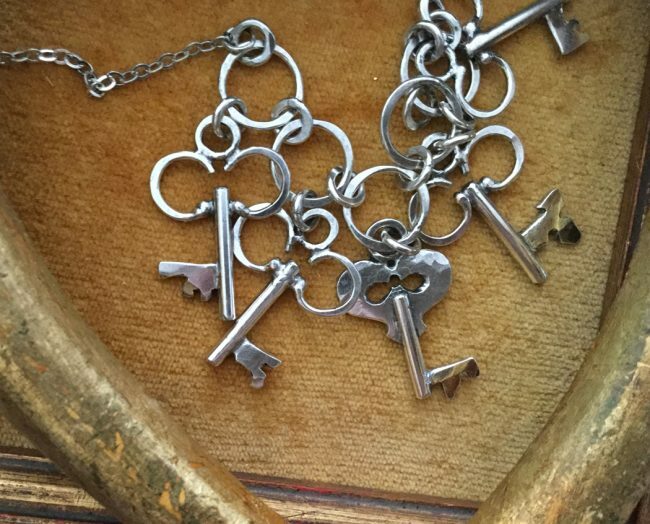 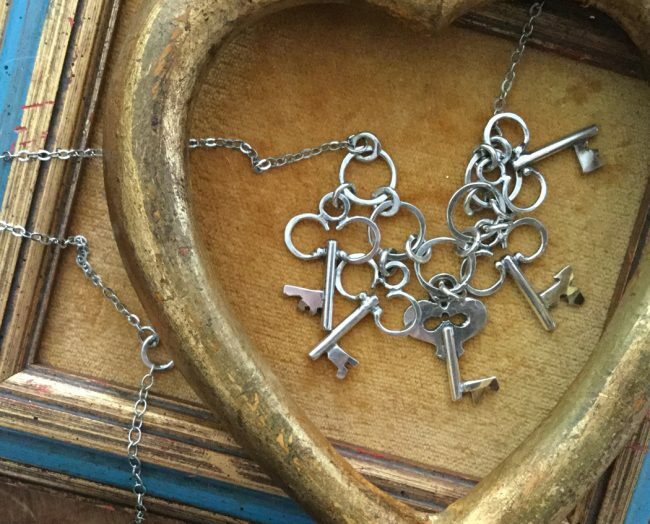 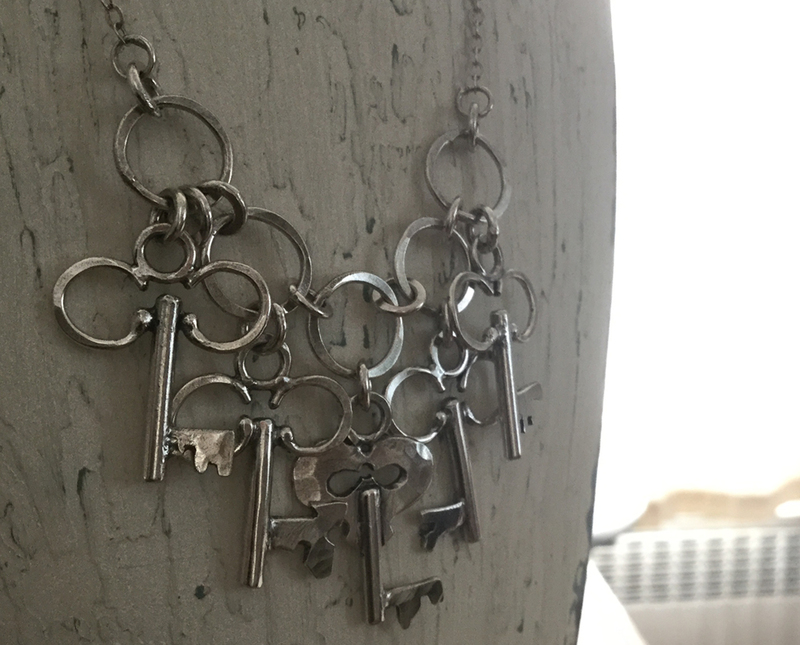 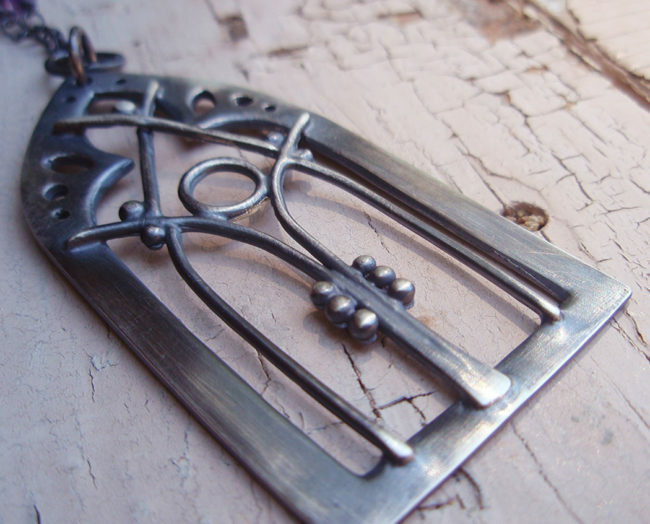 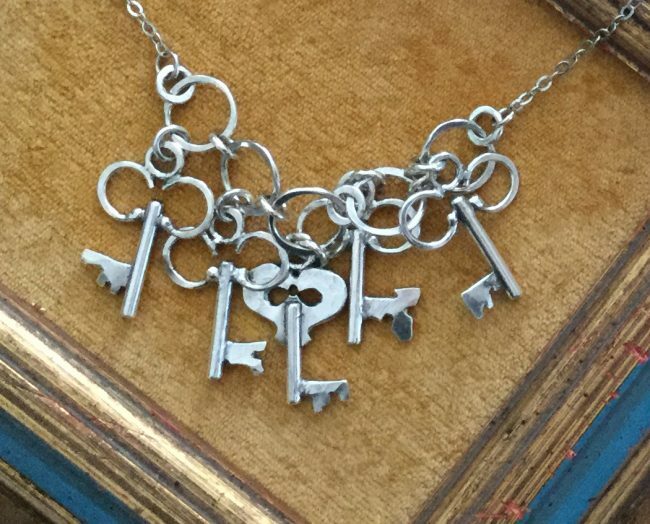 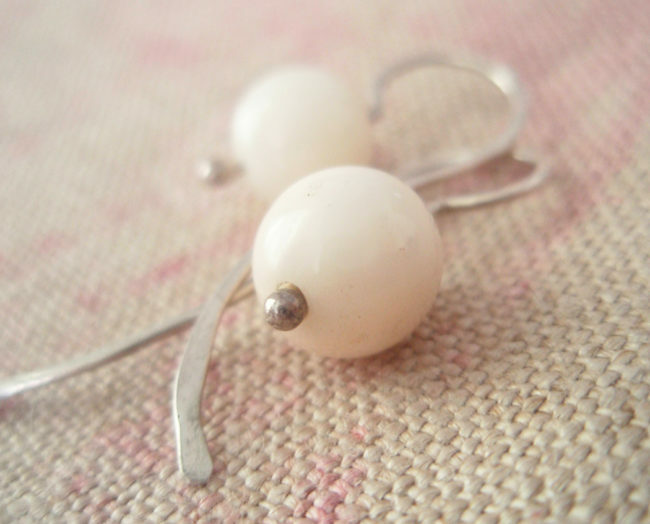 Each about 1 – 1 1/4″ high, the keys hang freely on soldered rings attached to hand forged links in the front of the necklace. Look for some single keys in the shop if you prefer. Unlock a dream, a door, a heart. 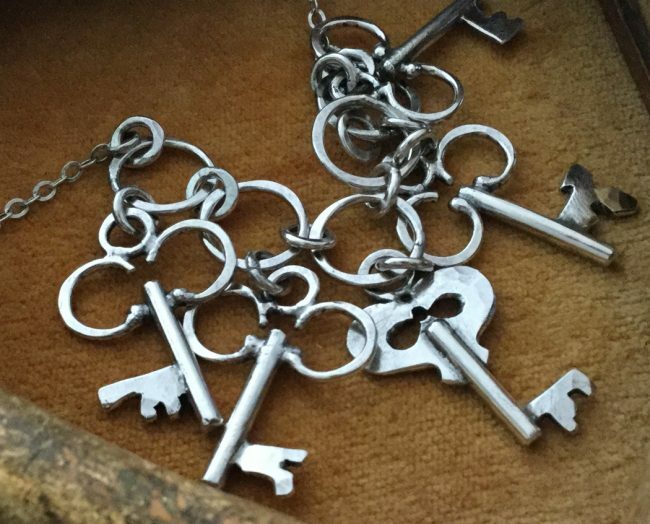 Keep it safe. 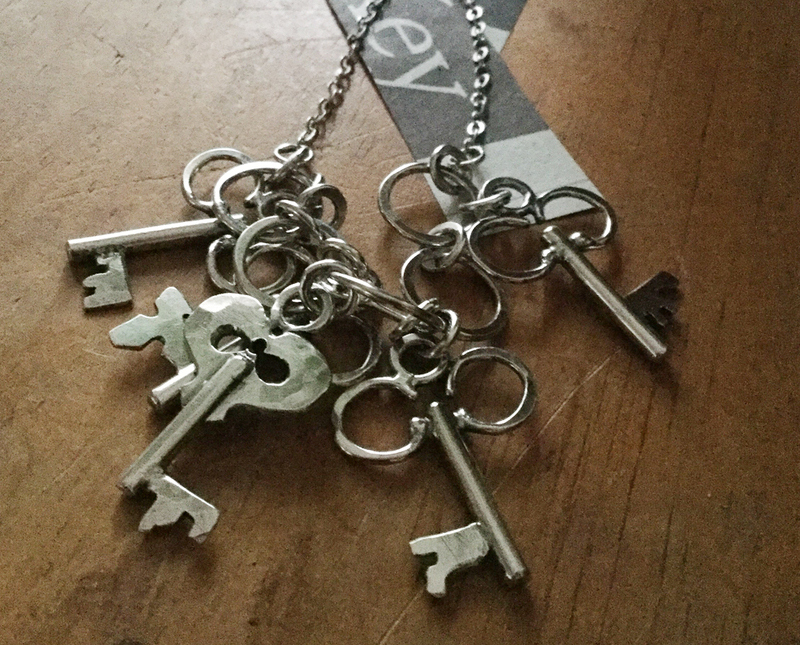 Carry it with you.